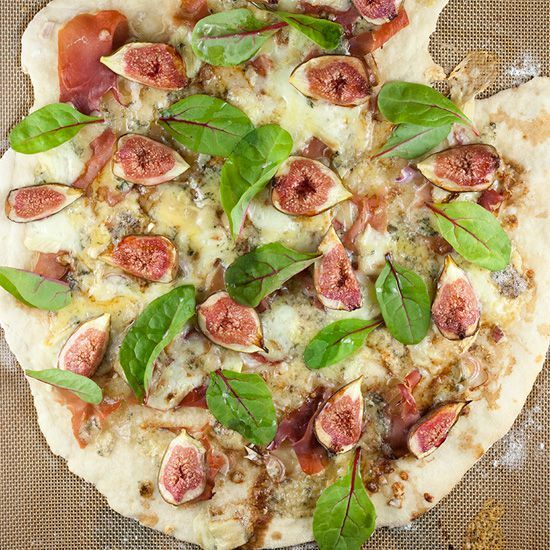 Use store-bought or home-made pizza dough. * note: this recipe is for two pizza’s. START by preparing the pizza dough. We’ve put up a great recipe on how to make your own pizza dough right here. 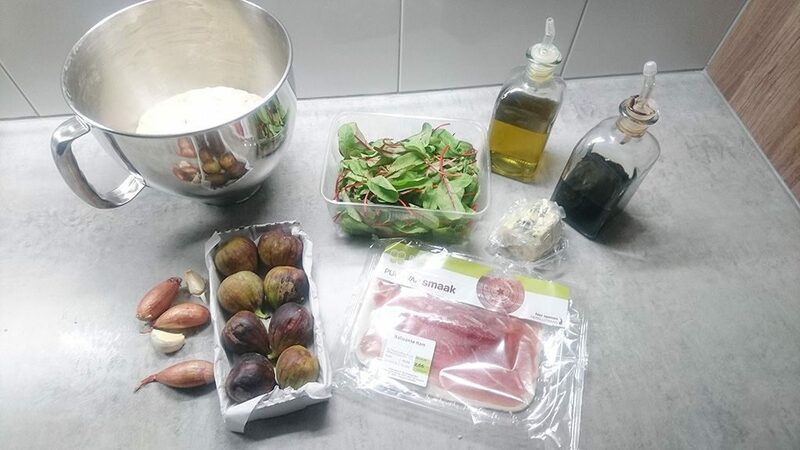 SLICE the fresh figs into quarters and chop the two cloves of garlic and shallots into very small chunks. WASH the purple baby spinach and dry off using a clean kitchen towel. PRE-HEAT the oven to a temperature of 180 degrees Celsius or 355 degrees Fahrenheit. FLOUR the kitchen counter and roll out 1/2 a ball of pizza dough as thinly as possible. 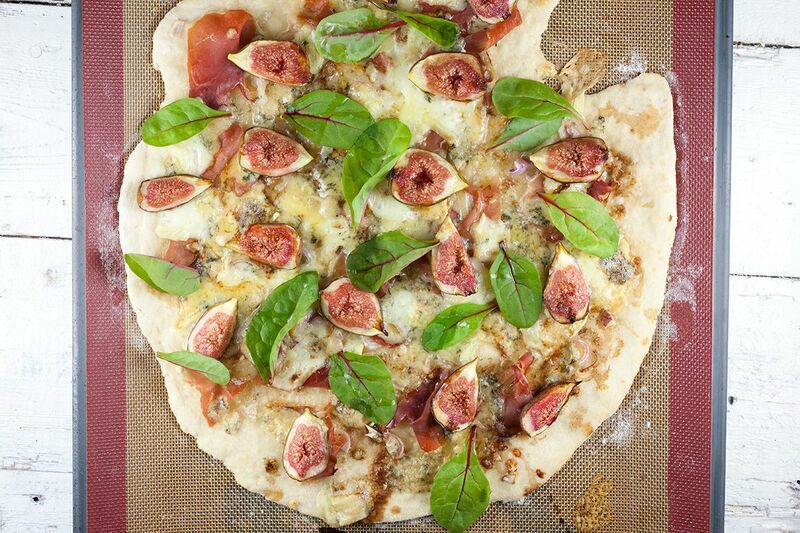 DIVIDE half of the sliced garlic, prosciutto slices and shallots over the pizza dough. CRUMBLE over the blue Stilton cheese and drizzle with olive oil. BAKE the pizza into the pre-heated oven for 10 minutes, depending on the thickness of the crust. MAKE sure to check every now and then. REMOVE the pizza from the oven, garnish with a small handful of purple baby spinach. DRIZZLE with balsamic vinegar and serve immediately. Repeat above steps for the other pizza. Enjoy your meal!